Some people don’t realise that, when visiting the city of Melbourne, country scenery can be found less than a couple of hours away. The High Country is one of the most beautiful locations rural Victoria has to offer, with stunning landscapes and iconic historical sights to take in. Here we take a closer look at this charming region, where you can find some of the most impressive Victoria sights and become immersed in the food, drink and culture of this beautiful part of Australia. What makes the High Country Victoria so special? The High Country offers something for everyone. One of the main reasons people take High Country tours is for the spectacular scenery, as this area is one of the most beautiful regions in Australia. It takes in the mountain range known as the Victorian Alps, so you can expect stunning mountain views, clean air and plenty of wildlife. The mountainous terrain here also makes the High Country ideal for a wide variety of sports and outdoor activities, with skiing, mountain biking, hiking and fishing all extremely popular pursuits here. If you enjoy a challenge, the region offers some of the most difficult cycling in the whole of Australia, Or, if you prefer to take things at a more leisurely pace, you can enjoy many peaceful country walks which enable you to appreciate the true beauty of the High Country at all times of year. The High Country also has a special significance in Australian history. Many of the towns and villages here were established during the Gold Rush of the 1850s and 60s, and some of the buildings have been impeccably preserved so you can gain a realistic insight of what life was like at that time. This is also the historic territory of Ned Kelly, and you can explore more of his story by paying a visit to the region. The area is also a paradise for lovers of fine food and wines. The produce here is internationally acclaimed, and there are numerous boutique wineries and gourmet restaurants to discover. Once you have a taste for the High Country, you will never look back! This diverse and fascinating region offers a wealth of sights and experiences, so it can be difficult to select the highlights. However, there are some attractions in the High Country that visitors to the region simply cannot afford to miss out on. Here are some of our favourites. 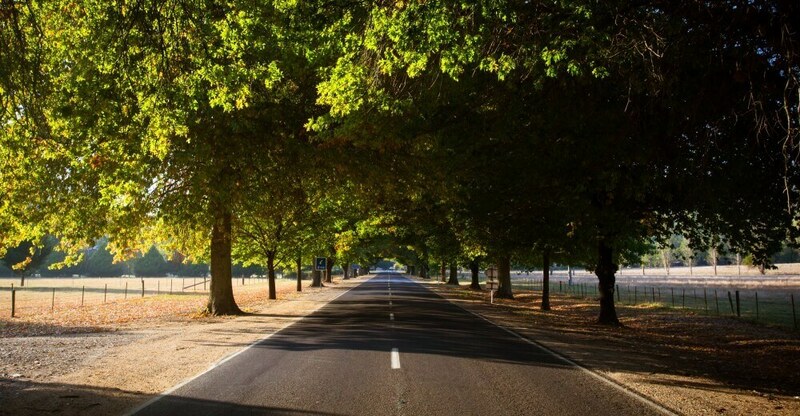 The road trip between the Yarra Valley and High Country is hugely popular with visitors to the region, as it takes in some stunning mountain scenery and charming rolling valleys as you travel through some of Australia’s best-loved wine-producing regions. The Yarra Valley is renowned worldwide for the quality of the food and wines it produces, and you will always receive a warm welcome at every stop. Visit the region’s many boutique wineries, traditional cafes and award-winning restaurants to sample the local produce. 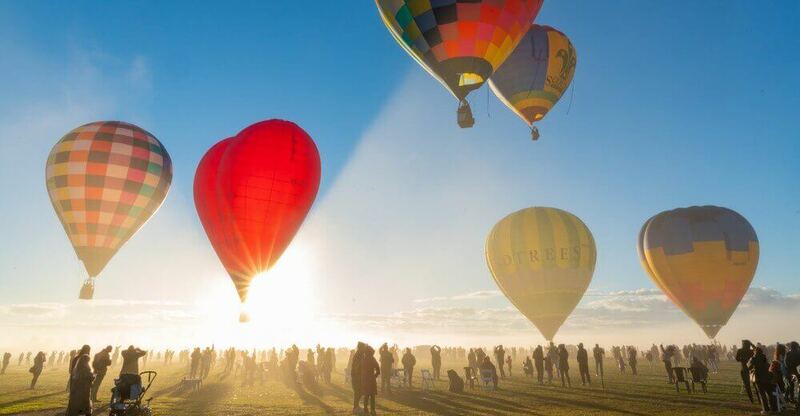 You will soon find out for yourself why the food and drink in the Yarra Valley and High Country is held in such high esteem across Australia and throughout the rest of the world. 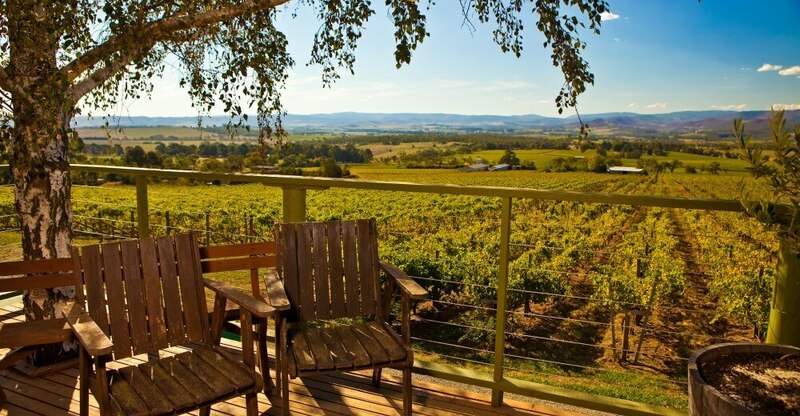 When visiting cellar doors in the Yarra Valley, be sure to try the area’s outstanding Chardonnay, Pinot Noir and Shiraz. And for the perfect complements to the fine wines you sample, you can also try the region’s famous cheeses at the Yarra Valley Dairy before indulging in a sumptuous dessert at the Yarra Valley Chocolaterie and Ice Creamery. This trip is a relaxing and rewarding experience, set against a backdrop of beautiful sweeping vistas which you will remember for many years to come. Thanks to its close proximity to Melbourne, Bright is the ideal rural getaway for those who want to escape the hustle and bustle of the city for a short while. This historic High Country village offers some beautiful sights, as it is situated on the Ovens River and surrounded by some spectacular forestry. The forests surrounding Bright are particularly popular in autumn, when the deciduous trees put on a stunning display. From deep red to bright yellow and rich burnished gold, the leaves form a breathtaking backdrop which makes the town of Bright truly deserving of its name. You can’t really appreciate the beauty of the season until you have seen a Bright autumn! Bright, like most of the towns in this region, is also renowned for its food and drink, and there are plenty of ways to sample the local produce. While you are here, a visit to the Bright Brewery is highly recommended. This independent, sustainable brewery produces some excellent craft beers for you to try, and also features a restaurant onsite where you can relax and take in the gorgeous surroundings of the Victorian Alps. The King Valley, encompassing Milawa, is a hugely popular farming and winemaking region known for the outstanding quality of its produce. Many of the family-run farms and wineries here have been handed down for many generations, and still produce their goods using traditional methods. As this was a popular region for settlers from Italy, there is a strong Mediterranean influence in the food and wines produced here. Visiting the cellar doors will also give you the chance to sample Australian Prosecco, a perfect complement to the fine cheeses and olives produced in this fertile region. There are some particular highlights to explore when discovering the food and wine of the King Valley. The Pizzini Winery is an essential stop on a High Country tour if you want to find out more about the Italian influence in the region. The Pizzini family are always happy to welcome you to their cellar door to sample some of the Italian wines they produce here, and they also run a cookery school where you can learn how to cook some traditional Italian dishes to complement the wines. You can also take in the Milawa Cheese Company, which produces a wide variety of delicious handmade cheeses using traditional methods, and Brown Brothers, a famous local winery which has been run by the same family since its establishment in 1889. Here you will also find the award-winning restaurant Patricia’s Table. In addition to food and wine, the King Valley is also renowned for its spectacular Alpine scenery and outdoor activities. Cycling, bushwalking and fishing are especially popular here, and these activities are the perfect way to take in the mountain vistas, impressive waterfalls and lush countryside that this beautiful region has to offer. 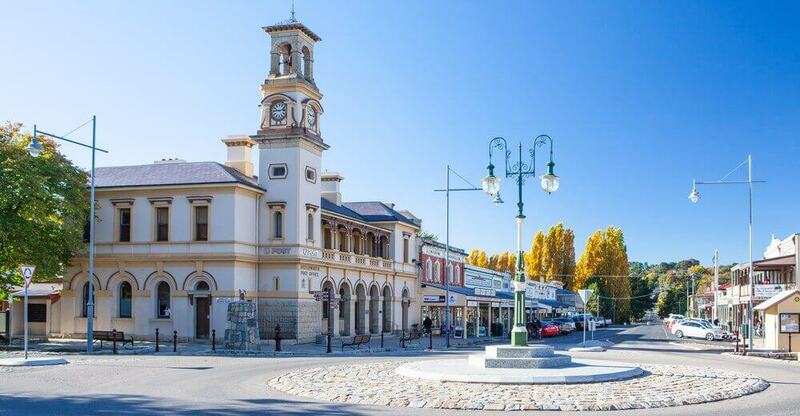 Beechworth is an essential stop for those wanting to discover Victoria in detail, as it paints a clear and fascinating picture of the history of the area. Many of the buildings in this picturesque town date from the Gold Rush of the 1850s and 60s, so a visit here transports you back in time to one of the most significant moments in Australian history. If you want to find out more about the history and culture of the area, a visit to the Burke Museum is a must. Dating back to 1857, this is one of the oldest museums in the whole of Australia, and highlights here include a row of original shopfronts from the Gold Rush here, and the Ned Kelly vault, where you can explore the infamous bushranger’s story in detail and see his death mask. The Ned Kelly story will also be enhanced by visiting Old Beechworth Gaol, where Kelly was once a prisoner – some of the original cells are still intact, so this is a highly atmospheric and informative place to visit. If you would like more information about the opportunities for visiting the rural country Melbourne offers, we at Melbourne Private Tours are happy to help. We can create a bespoke itinerary for a day trip to the High Country just for you, so you are in control of the sights you want to see and the places you would like to visit. Whether your priorities are food and wine, local history or Alpine scenery, we can tailor the trip so you will gain maximum enjoyment from it. You will also have the benefit of a highly experienced professional tour guide, who can enrich the experience for you by offering unique insights into the history and culture of the area. All High Country day trips take place in luxury vehicles which will pick you up from Melbourne and take you back to your accommodation at the end of the day. This is the ideal way to see the High Country, in air-conditioned comfort, enabling you to concentrate on the experiences provided by this beautiful region. Please contact us if you would like more information about seeing the High Country your way. If you are not sure which tour to select, how to arrange the details, whether a certain customisation is possible or have any other questions, talk to us. Please contact us. We offer a range of carefully crafted itineraries and also provide guests with the opportunity to fully customise their experience to suit their individual needs.